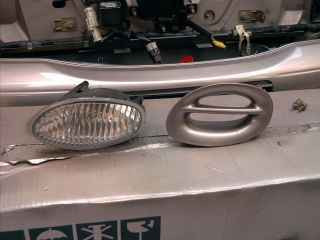 This document describes how to fit, and connect the Ford NF/DF Fairlane/LTD Cornering lamps, for use in an EF/EL Fairmont and Fairmont ghia model Ford. Cornering lamps are designed to illuminate the area in which the vehicle is turning, by switching on when the park or Driving lights are switched on, and the turn signal is activated. They usually stay activated for a short period, once the turn indicators have been dis-activated. The advanced Electrical modification will allow for illuminating corners, when both the turn signal, and park lamps are illuminated, as well as switching both Cornering lamps on, if the Highbeam circuit is activated. The following components are also required, and can be purchased from any electronic store. Below are the Catalogue numbers, and Prices quoted from Jaycar Electronics and are correct as of July 2001. In addition to these items you will need the following tools. When the turn signal is operating and the Turn signal lamps are on, the Capacitor is charged. When the Indicator lamps are off, the capacitor is discharged through the 560Ohm Resistor, Transistor and Relay. 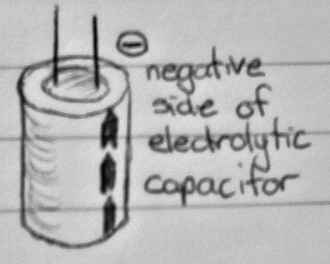 With the impedance of the Resistor, Transistor, and Relay, it takes approximately 5 seconds for the capacitor to discharge. If the Park lamps are illuminated, then current is allowed to flow from the Transistors Collector, to the emitor, if the Capacitor is in a charged state. This means that the Relay, and thus the cornering lamp is illuminated for a period of 5 seconds when the turn signal lamp have been switched on, and the park lamps are also on. 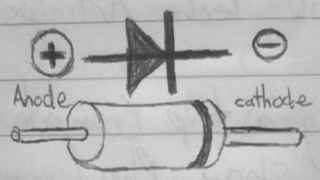 The first diode, connected to the Turn signal line, is used to stop the capacitor from discharging through the turn signals, as these have a very low impedence. A Third diode can be connected between the Diode, and the Relay, so as to allow Illumination of the Cornering Lamp circuit, whilst the high beams are activated. 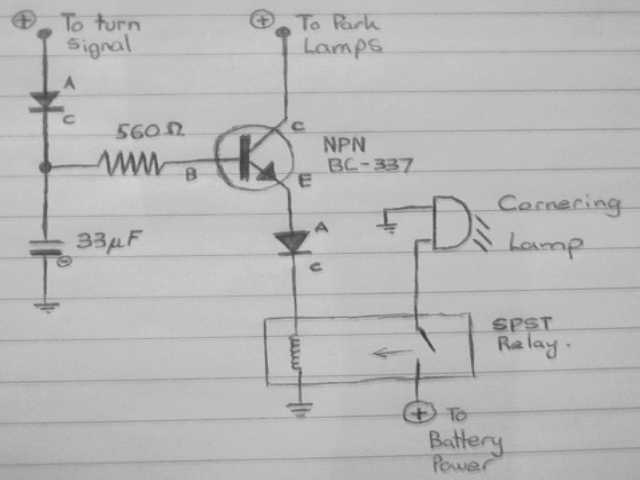 (This diode stops the current from flowing from the transistor emitor, through to the vehicles high beam circuit. The Highbeam circuit is connected via the diode, to allow the cornering lamp to operate, if the Highbeams are operated. This proceedure assumes that you have basic knowledge of electronics, and can build simple electronic kits. Also, the proto board must be have the copper tracks running in parallel. (IE do not get the criss cross type). Finally, the components should be positioned exactly in the holes shown in the figures. This is due to the fact that the component legs must interconnect with one another as specified by the above circuit diagram. Because I have not taken any photohraphs of how the Circuit was peiced together, and that I beleive that very few people will not attempt this circuit, I have not bothered showing how to solder the peices in to the proto board. The Above informaion should give all the required details on how to build the circuit, providing that you know how to build a simple electronic kit. However, If there are enough requests from people, regarding this circuit, I will consider building another circuit take pictures, and document where the components fit together on the board. Removing the front bumper ducts. 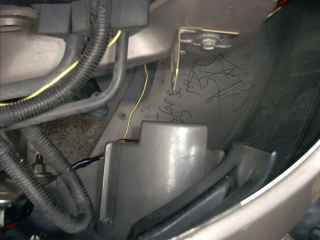 The front bumber duct covers have three clips each. 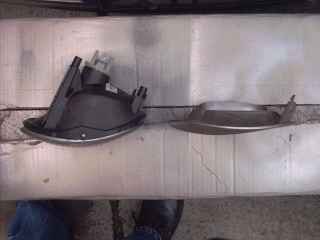 If these duct covers are simply pulled out ith force, it is possible to break these plastic clips. 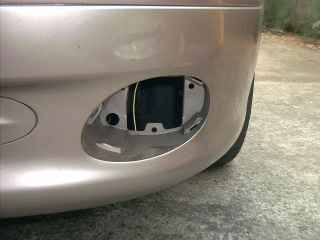 If you wish to use these covers again in the future, it is best to remove the Front Headlamps, and turn indicators, to gain access to the back of the Bumber, and clips. 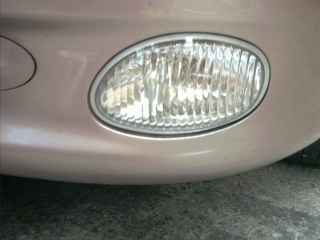 Once these are Removed, it is then a matter of simply mounting the cornering lamps on to the bumber. There are 3 screws which hold the cornering lamps in place. These should have been provided with the Cornering lamps. These figures will give you a good indication of how the cornering lamps are mounted. Document written by: Brad on 17 2002>, Copyright © 2004 Brad, all rights reserved.